Why Install Foam Insulation in Your Memphis, TN, Home? 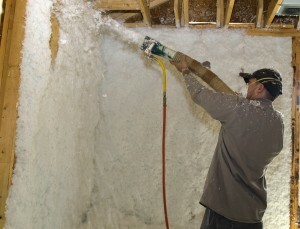 Why is foam insulation installed by 31-W Insulation the best choice for your home in Memphis, TN? Because this insulation can do what other types cannot – it can infiltrate those tiny cracks and crevices, sealing the little holes in your residence that are actually costing you money, and creating a healthier and more comfortable home environment for you and your loved ones to enjoy. Lower energy bills – Filling those tiny holes allows less of your conditioned air to escape, resulting in lower heating and cooling bills. More stable temperatures – You will find that installing this insulation will also result in a more comfortable home environment. Reduced pollutants, allergens – Because this insulation reduces the environmental elements such as dust and pollen that can enter the home, many allergy sufferers find relief from symptoms. Reduced noise infiltration – The barrier created by spray insulation reduces the amount of outside noise that enters your home, creating a quieter and less stressful home environment. Increased re-sale value of your home – Many homeowners recoup the cost of installing foam insulation when it is time to sell, because having high quality insulation is a key selling point to homebuyers. 31-W is proud to be experienced, licensed, and highly trained to handle all of your insulation needs, including the installation of foam insulation. You can be sure that our experts can help your home be more energy efficient so that you can enjoy a more comfortable and healthier indoor environment. To learn more about installing foam insulation in your Memphis, Tennessee, home, contact 31-W Insulation today.